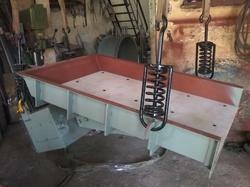 Prominent & Leading Manufacturer from Vadodara, we offer electro magnetic vibrating feeder. Electro magnetic type Electro Magnetic Type Vibrating Feeder are mainly used for controlling rate from min to maximum with help of rectifier to convert ac supply into dc supply. The control panel will be provided with varic arrangement to control vibration as per the requirement of process.